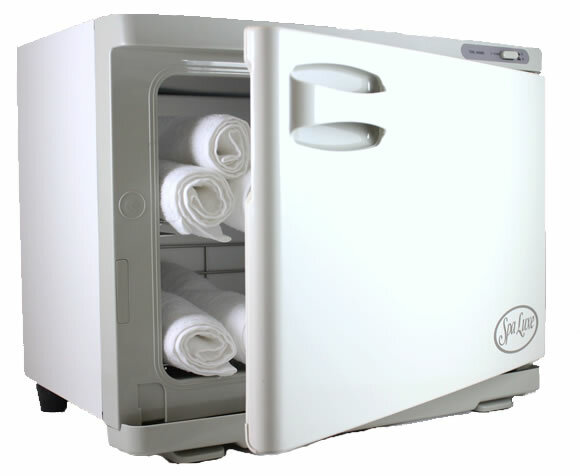 Purchase the SL18 Spa Luxe hot towel warmer cabinet today and see why this unit is a customer favorite at MassageTools.com! This compact cabinet spa towel warmer is a stylish, practical addition to your day spa or salon. 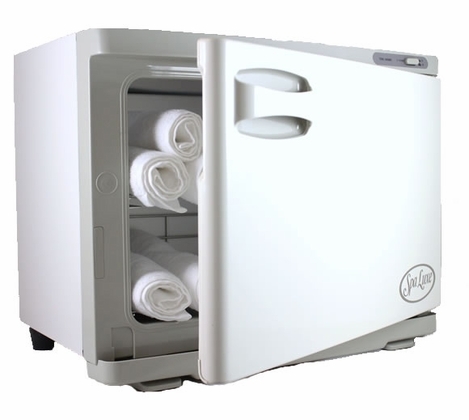 The white Spa Luxe hot towel steamer cabinet keeps up to 24 regular-size manicure or facial towels wonderfully moist and warm inside this toasty cabinet and maintains a steady 160-degree Fahrenheit temperature. You'll appreciate the rust-free interior, silicone door and two built-in shelves that will have your towels ready when you need them. This keeps my towels and rocks hot for my massage services. Door opens/shuts quietly. Perfect fit for my small business! We love it! We use it when we have headaches, body aches etc...my husband is a huge fan! we use this in our bathroom and couldn't be happier. Warms up our towels perfectly before I get out of the shower. It's like they just came out of the dryer!